As I was driving home after a powerful teacher training weekend I had this deep sense of gratitude. I was overwhelmed with this feeling of connectedness. I had surrounded myself for four days with a strong group of yogis, who were like-minded. And on my drive home I reflected on my time, the word satsanga kept rising up. Satsanga comes from the language of Sanskrit. By breaking the word apart, “sat” meaning “truth” and “sanga” meaning “coming together”: therefore satsanga is “truth seekers coming together”. Throughout the weekend the group was discussing the philosophy of yoga in depth. A whole array of thought provoking ideas and conversations were brought into conversation. How was all of this created? What is the bigger picture? How do you understand yourself? What is your ethical practice? All of these big questions could easily overwhelm me, and often times they have, but I felt grounded because of the cohort around me. The philosophy challenged my beliefs, and made me uncomfortable in many aspects. It also sparked passion in me, and I was eager to understand. The discussion around spirituality and beliefs in general is something that I often seek, but I find myself failing to connect with others around the topic. Over the course of the weekend I was able to hear others speak their truth about their beliefs in all aspects of their lives. Through discussion with others I was able to continue the process of discovering my truth. Tula and Yoga North offer a brave space that feels safe to discuss open and sometimes challenging topics. I was able to find the connection I was seeking because of the brave space. The most beautiful thing about this group of like-minded people is the differing views and beliefs. What did I just say? Like-minded people who think differently? Yes, this group of yogis and myself are all seeking our own truth. And although the truth may look very different for each of us, all were respectful of each other’s beliefs. When there is respect around topics that spark passion it is heartening. We were able to discuss both extreme ends of a topic, and everything else that feel in the middle. I was able to speak my truth, and also express my challenged beliefs. I was able to hear, feel, and understand others truth. It was the true meaning of satsanga; truth seekers coming together to uncover the truth. It was a safe space to express how I felt, and for that I was eternally grateful. Satsanga provoked a challenge and a comfort all in the same impression. And in the presences of like-minded individuals, with very differing thoughts, there was love. Love above all else is the sense of deep gratitude I felt. I was surrounded by loving people, and this is how we can all be like-minded. I was and I am seeking the truth, and as I move forward I want to move with love. Love for myself. Love for others truth. Love for my truth. Love for the process of discovering. 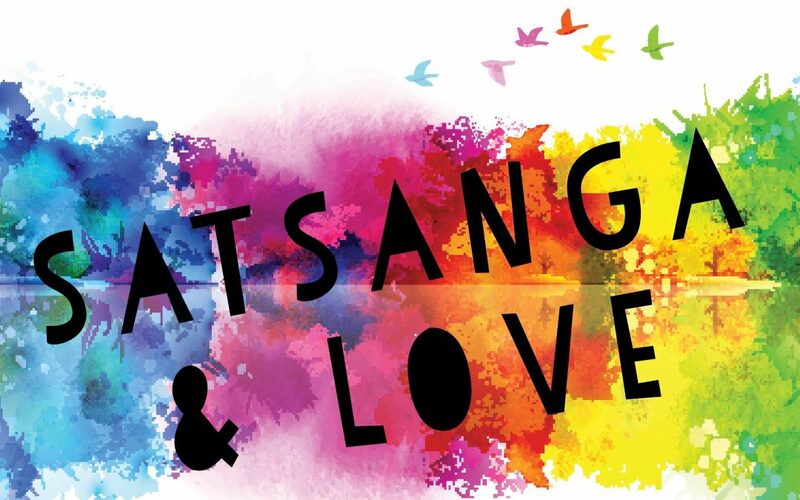 Love for satsanga. Love for all.